Last April, I attended my first NHL game in 10 years, as I traveled to Minneapolis to see the Minnesota Wild host my Pittsburgh Penguins. Unfortunately, the game didn't carry with it too much excitement for me as a Penguins fan. The Penguins were shutout 4-0. Malkin & Letang were out, and Fleury was on the bench, but I did get to see Crosby, and that's the important thing. The tickets were a birthday gift from my parents, and they were nice enough to get me seats on the 10th row, which gave me a great up-close view of the game. Plus, we set the Xcel Energy Center for attendance at a Wild game with 19,409 people. They also had this really cool fundraiser for the Minnesota Wild Foundation, which raises money to support various pediatric medical causes throughout the state. 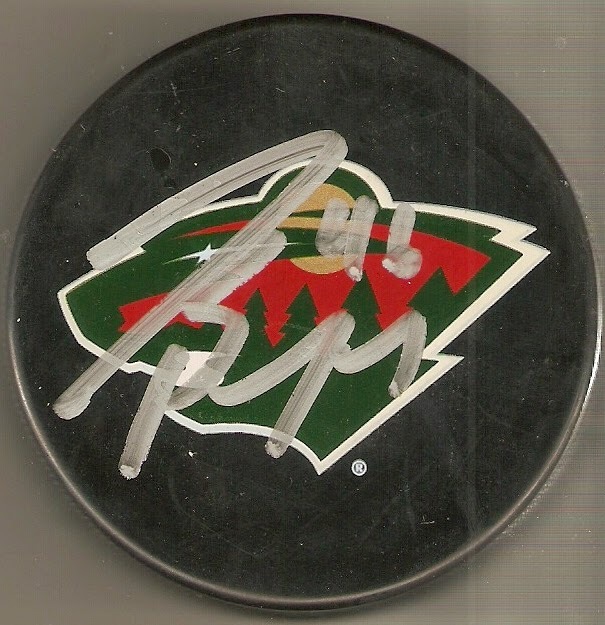 For $40, you could purchase one "mystery puck," which was autographed by a Minnesota Wild player. The great thing here was, they actually pulled the top 10 players from the team to do this, instead of just going the easy route with the 3rd & 4th liners. The 10 players featured were Charlie Coyle, Jonas Brodin, Ilya Bryzagalov, Mikael Granlund, Mikko Koivu, Darcy Kuemper, Matt Moulson, Nino Niederreiter, Zach Parise, Jason Pominville, Jared Spurgeon and Ryan Suter, so no matter what, you got a pretty legit player. I ended up picking up one each time I went on a beer run, giving me a total of three. 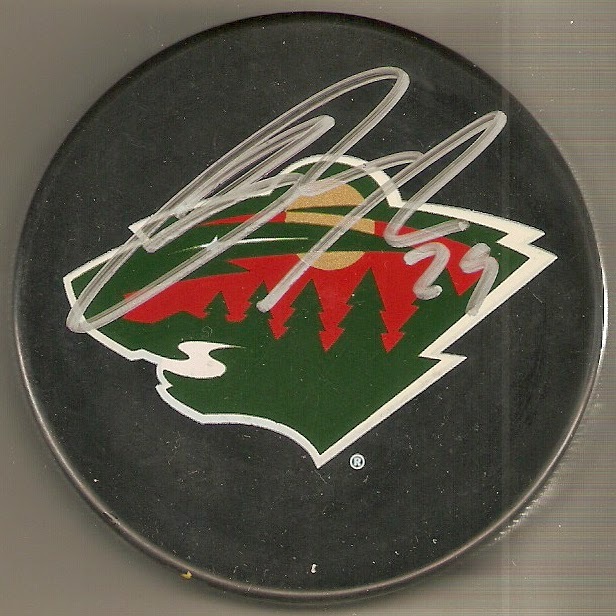 I did pretty well, too, picking up Jason Pominville, Mikael Granlund, and Jared Spurgeon. At first, I assumed they just did this at every game, but as it turns out, they only do this a few times each year, so I just got lucky. 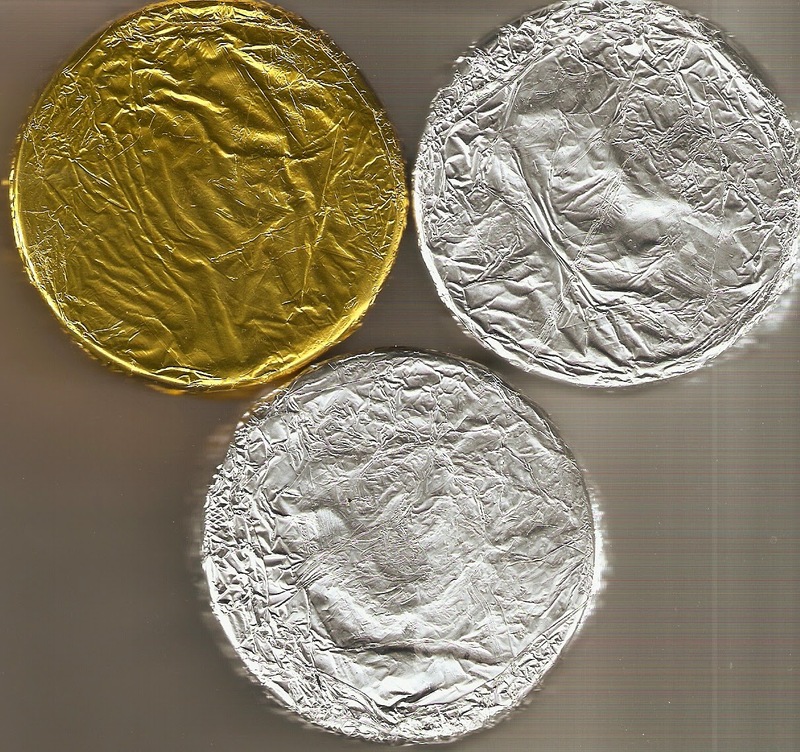 Still, I was very happy to add these pucks to my collection. 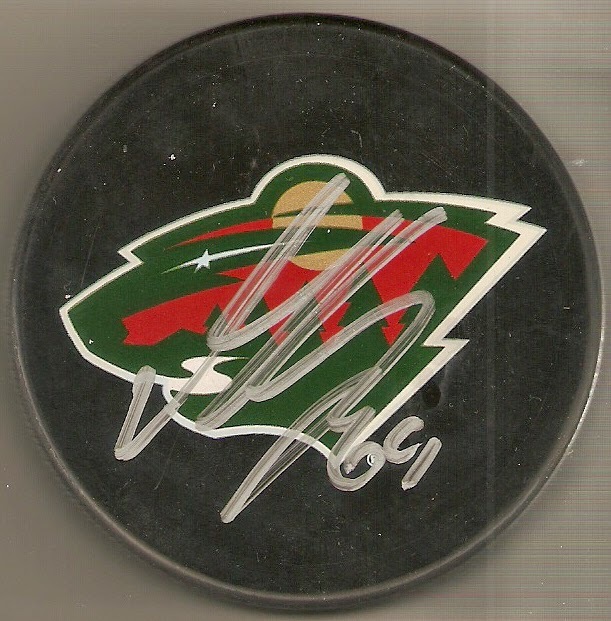 My autographed puck collection was getting pretty USHL-heavy, so it was nice to give it a stronger NHL presence.